Archie and Betty are life long friends in the Riverdale series. They lived next door to each other and could see into each other’s bedroom. Betty the innocent looking studious girl while Archie is the buff jock. There was always a tension that they would be more than friends. When they got together for a short period of time Betty wore Archies sweat shirt that Archie gave her. Eventually Betty ended up dating Archie’s best friend Jughead Jones. Archie ended up dating Betty’s friend Veronica Lodge. Unlike the comic books Betty and Veronica are not fighting over Archie. Betty is happy dating Jughead. 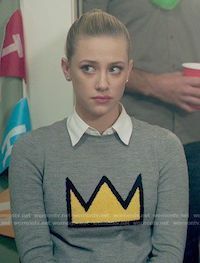 Betty is seen wearing Jughead’s crown sweatshirt and it’s adorable. 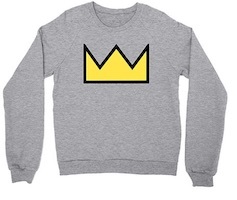 You too can wear the iconic crown sweatshirt. Find Betty Cooper crown sweater ideas below. This costume is best paired with the Riverdale River Vixens, because she’s a cheerleader at Riverdale too. Also with her best friends – Veronica Lodge, Jughead Jones, Archie Andrews and any other school mate at Riverdale High. You too can dress up like Betty Cooper and start investigating who is leaving those notes and killing people in Riverdale. Betty Cooper has great hair. Here is the best option to transform into Betty. 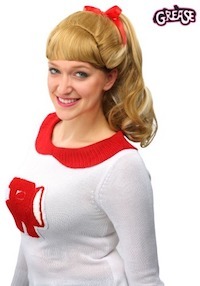 Click here to get Riverdale Betty Cooper Wig. Let the world know how much you love Betty Cooper’s style. 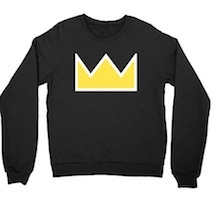 This is her crown sweater in black with a yellow crown. Betty Cooper crown sweater is like the crown her boyfriend wears – Jughead Jones. This is a white sweater with a yellow crown. Click here to get the Betty Cooper Crown Sweater. 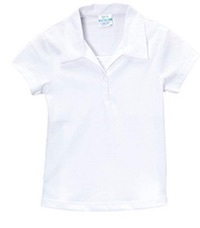 Put this white shirt on under your crown sweater. Click here to get Betty Cooper White Shirts.